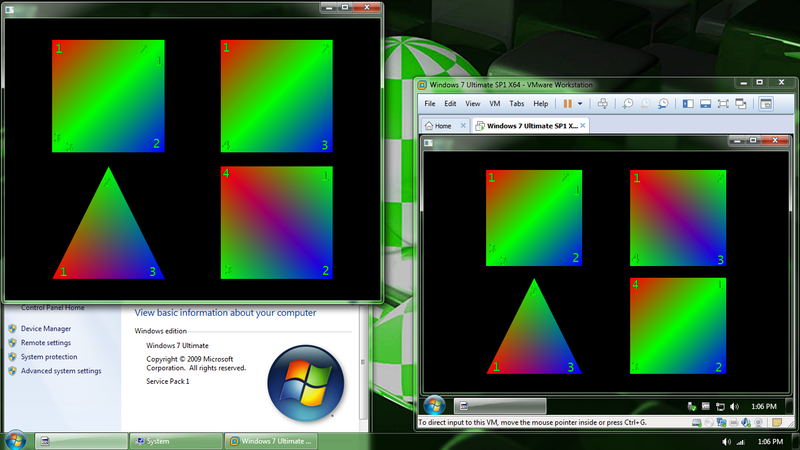 i tested on VMware and a friend also tested on VirtualBox, the result is the same on both, may i ask why this happens? Which version of openGL do you have on the host ? Which version of openGL do you have on the guest ? Is the guest using software acceleration for openGL ? I advise you to avoid using quads, they are going to be deprecated in openGL version 3.0 or higher. acceleration on your host, the guest usually uses software acceleration or at least something different from host, so results may differ. but all in all, stick to triangles for more compatibility.